Site grading & environmental restoration works for 113-acre industrial development. We were contracted to complete site servicing and grading plans to facilitate development on 51 one-acre builder-ready industrial lots at the 133-acre site that formerly operated as the Kirkpatrick Gravel Pit. Specific efforts were required for the coordination of environmental works and approvals, and integrating these requirements into the site development. 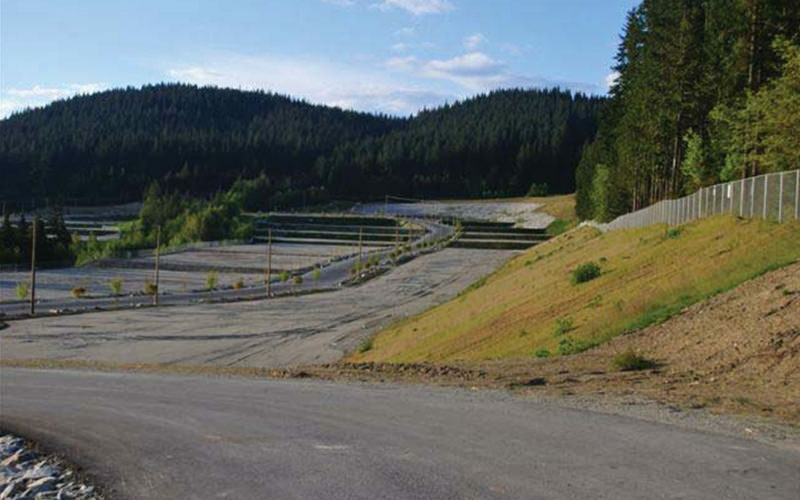 Concept individual lot storm water management facilities were designed as part of the final site detention, as well as individual siltation control for building permit works. Coordination with utilities and the local municipality, and approvals required from the Ministry of Environment and the municipality were some key issues that needed to be addressed in an effort to move the project forward in a timely manner. Approx. 2.2km of rural road complete with ditches, 200mmø to 300mmø watermain, culverts, outfalls and a 7.3m x 1.9m CSP open bottom box culvert creek crossing. Extensive sub-consultant environmental works including streamside restoration and enhancement, dedicated green space and stream restoration. Storm water modelling with comprehensive storm water management and drainage. Municipal water system, complete with area water modelling to ensure required flow rates were achievable from the municipal system. Roads and utilities to Maple Ridge rural standards.